A woman was walking past an alley in Los Angeles, California when she saw something that made her stop in her tracks. There were two skinny mother dogs laying on the ground, cuddling to keep warm. Both dogs were nursing their babies. 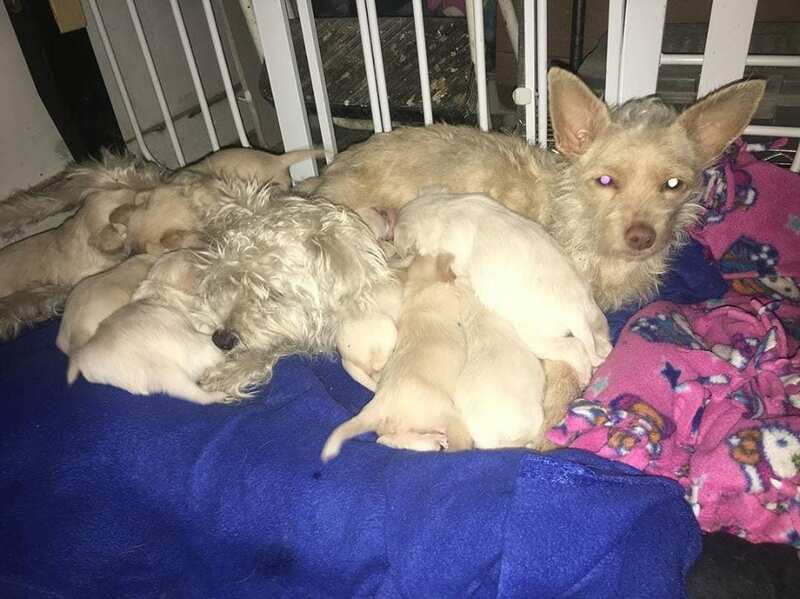 The kindhearted woman couldn’t bear to leave these two mama dogs and their nine puppies out on the street. And so, she took them all home with her and started calling different rescue groups. 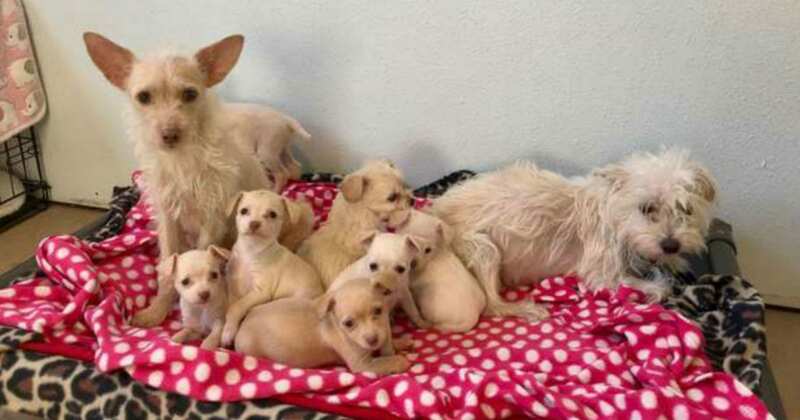 Finally, Northwest Dog Project (NDP) in Eugene, Oregon said they would take in all eleven dogs. Rescuers from NDP headed down to Los Angeles to pick up the two families. They were amazed to see how bonded the two mothers were! 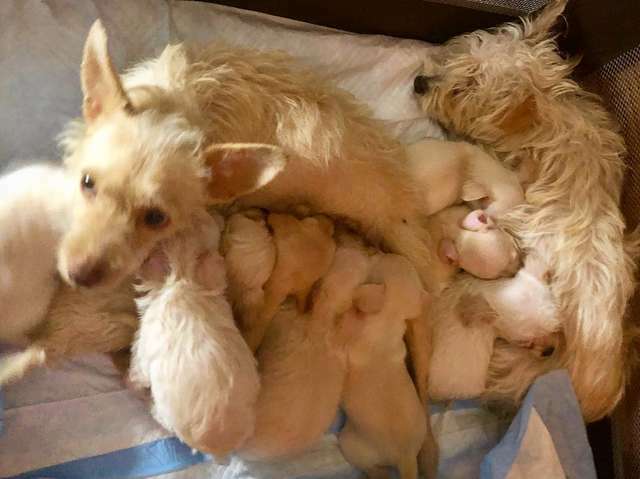 The puppies nursed from both mamas, and so the rescuers realized there was no way to tell which puppy belonged to which mom. The dogs had created a big, unconventional family! 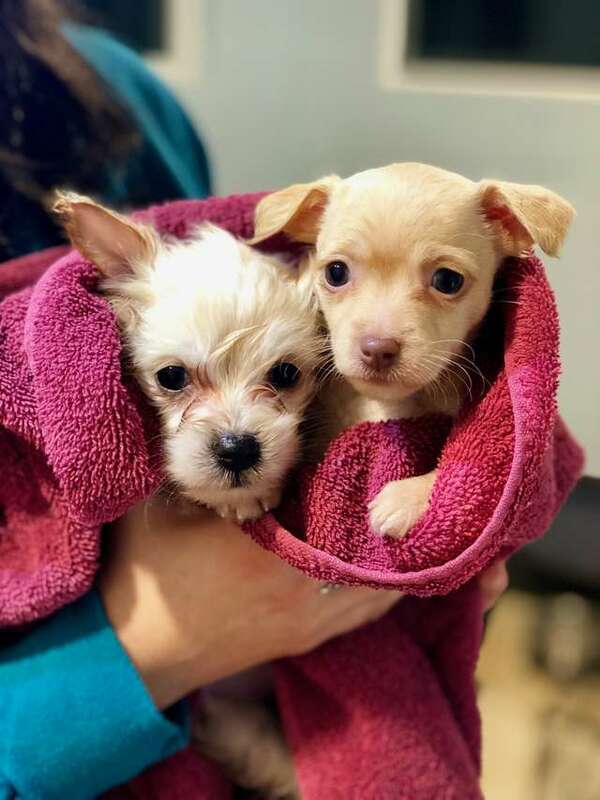 NDP named the two mamas Thelma and Louise, and they got the dogs settled into their rescue center. Thelma and Louise were both a bit malnourished, and so the rescue made sure to give them plenty of food to help them gain weight. When Thelma and Louise first arrived at the rescue, they were a bit skittish. But the staff at NDP gave them plenty of love and affection, and now, they’re as sweet as can be. The puppies are started to get bigger, and their personalities are beginning to shine through. There are seven girls and two boys, and all nine puppies love hanging out together! 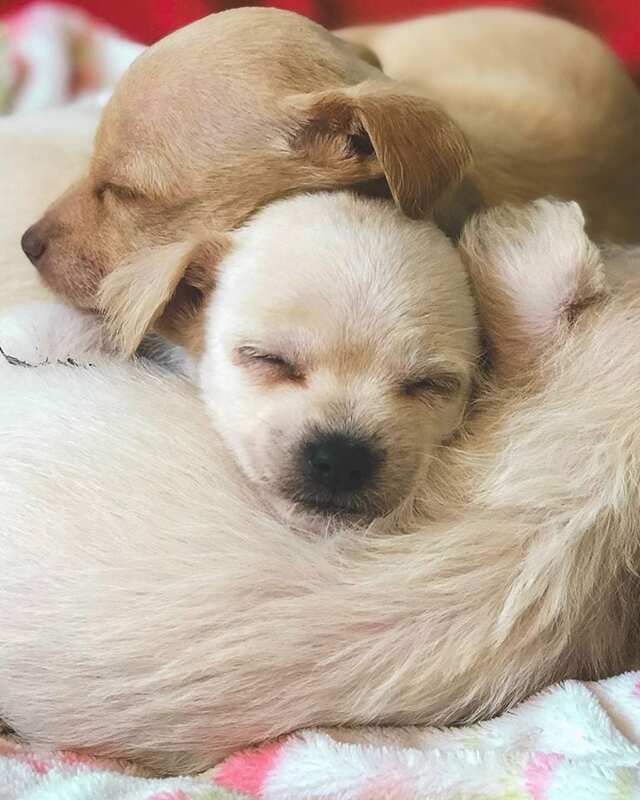 They also love cuddling with their moms. Once the puppies are about eight weeks old, the rescue will beginning look for forever homes for them. 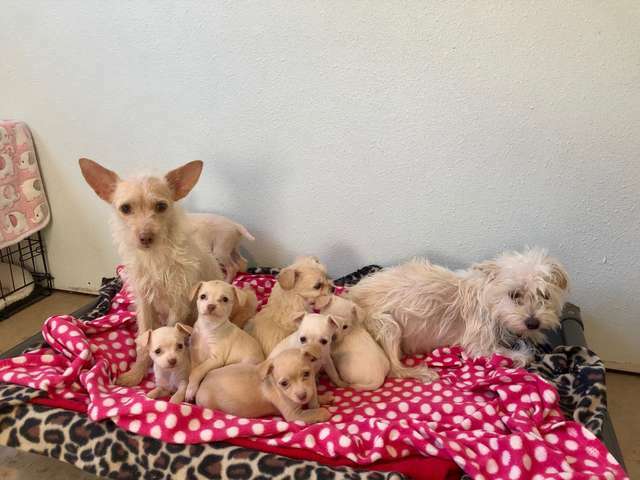 The shelter has received tons of interest for both the puppies and their moms. Many people have said they would adopt both moms—nobody wants to separate this bonded pair! Thelma and Louise are a unique pair of moms who have created a happy family together. 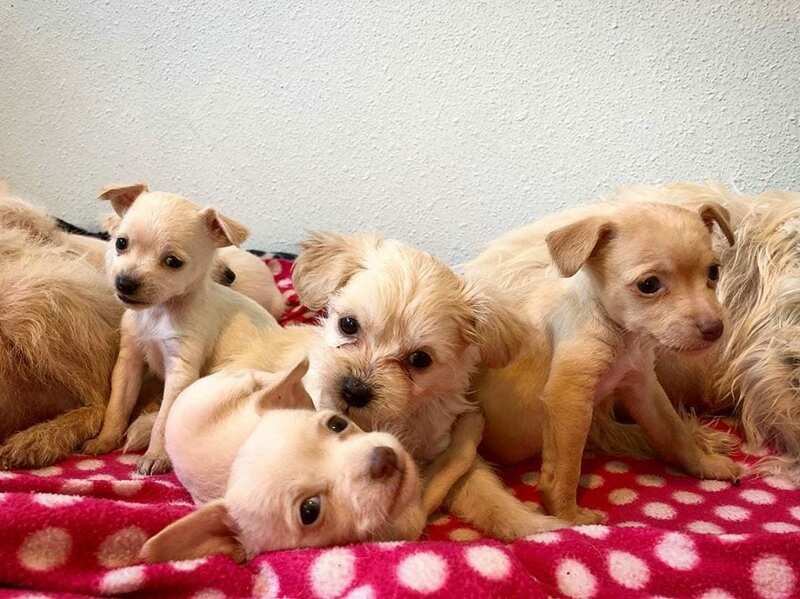 If you’d like to help Northwest Dog Project care for these sweet pups, consider donating to their organization.